Though a sequel to a 25 year old cult hit seems odd, Welcome to the Jungle has become a surprise success to say the least; nearly $900 million in global earnings despite a relatively minor debut, and a high level of acclaim for critics and audiences alike. With the original having Robin Williams dragged into a supernatural board game of sorts, Welcome to the Jungle brings the concept into the modern era with a lineup of teens being dragged into the mysterious Jumanji video game, taking on the form of their chosen avatars, and left with a mission to escape before time (or their extra lives) runs out. 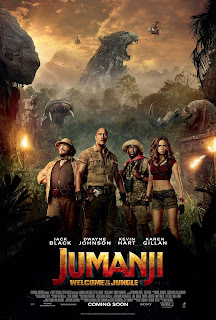 Jumanji is a simple blockbuster effort from start to finish, and that works to it's benefit for the most part; the characters each have their own charming if somewhat generic personalities and are brought to life by a loveable cast both in their teen forms and in-game avatars. Dwayne Johnson particularly stands out as a comedic charmer, with much of the humour aimed at his impressive physique as expected, but those behind him are just as loveable in their own unique ways. Jack Black finds himself with an interesting role given that his character within the real world is actually female, now transferred into a male avatar, paving the way for a ton of obvious yet witty jokes that make for a number of crude yet big laughs. This a story that can't truly prosper without modern special effects - and said effects are beautifully handled without a doubt, leading to many epic set pieces with all kinds of creative fictional creatures. Fans of all kinds of video games will adore the clever references to such game logic, including special moves, character perks, non playable characters and their repetitive dialogue, and various missions that drive the main structure of the game itself. 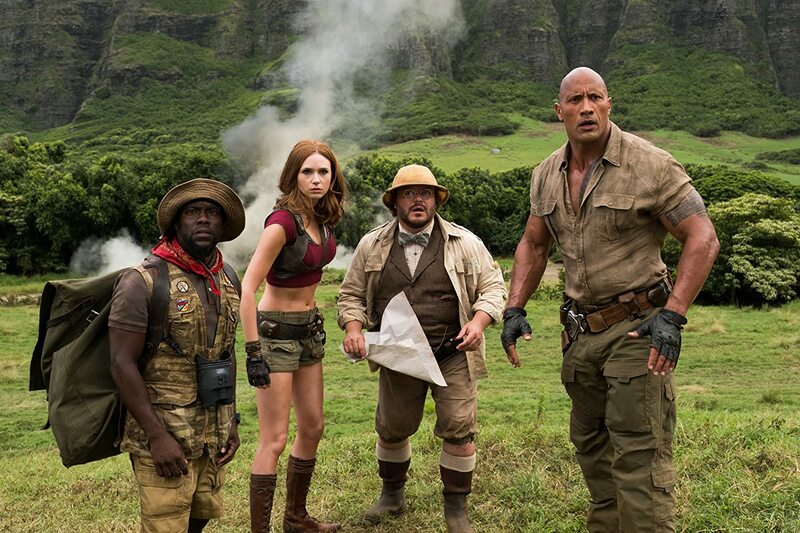 Jumanji uses these conventions to portray a simple yet fun story and also fill it with tons of clever gags, both through witty dialogue and well timed slapstick. Perhaps the film's only real flaws lie within it's undemanding nature, which isn't exactly a trait of a poorly made project, but just inevitable considering it's source material - for one thing the villain doesn't truly stand out as a consistently interesting opponent, though many audiences may have no real issue with such stuff. 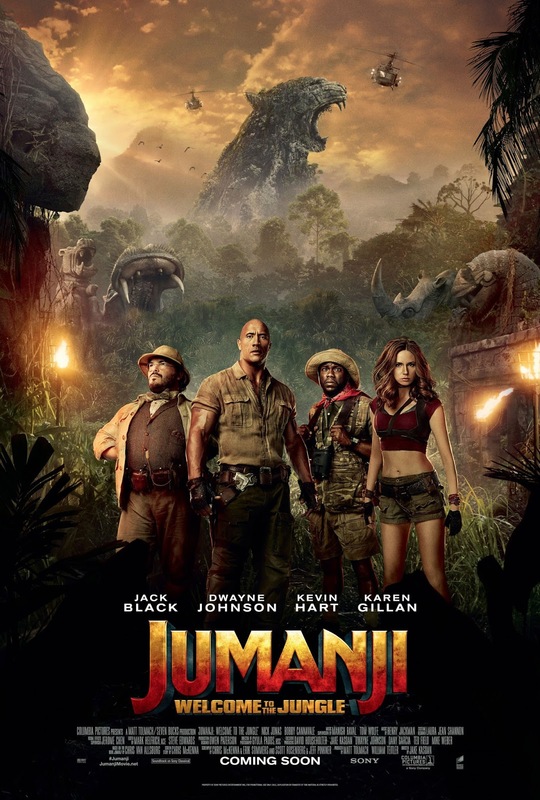 As it stands, Jumanji is a fun and well structured comedy adventure, portrayed once again through a talented cast and some forever impressive special effects.